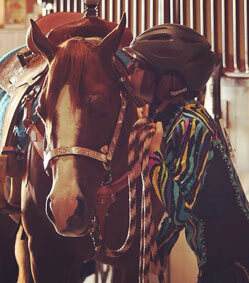 Every year the Saskatchewan Quarter Horse Association (SQHA) hosts American Quarter Horse Association (AQHA) approved shows in the city of Moose Jaw, SK. The 2019 show season will kick off on May 17th. These shows draw competitors from all over Saskatchewan, Alberta, Manitoba, British Columbia, North Dakota and Montana. These Quarter Horse Shows have been held in Moose Jaw for over 30 years and it provides an opportunity for our members from across the prairies to get together and acquaint with old friends, meet some new ones, do a bit of business networking and most importantly to have some fun. In 2019 our focus, will once again, be on our youth and entry level adult competitors. We are attempting to gain attendance and involvement in the association through our Grassroots program and our Walk-Trot division which encompasses adult exhibitors, and through our volunteerism. Therefore we are approaching our valued partners to assist us in hosting these events. We are hoping that through sponsorship and/or our new advertising initiative which combines traditional advertising with Internet advertising, we can keep costs manageable for attendees, new and old. We promise to provide you with valuable exposure and recognition to customers and potential customers from across Western Canada and Northern United States, as well as the opportunity to be listed on our website www.sqha.org. Attached are various sponsorship and advertising opportunities for you to consider. In turn for your support, we will ensure that you receive valuable exposure, recognition and networking opportunities, based on the level of sponsorship or advertising of your choosing. Of course, we are also always looking for new members and volunteers. If you have a "horse enthusiast" from your organization that may be interested in participating, we will be happy to accommodate them. If you are interested in partnering in our exciting and fun filled events, please feel free to contact SQHA at info@sqha.org As well, our full list of Directors is listed on www.sqha.org for your reference. Thank you for your consideration of sponsorship and we look forward to speaking with you in the near future. ● Complimentary product display space (booth or table) at all SQHA events on a "first come basis"
● Complimentary product display space (booth or table) at all SQHA shows on a "first come basis"
● Complimentary Product Display space (booth or table) at all shows on a "first come basis"
Please contact one of the SQHA Directors for more information about sponsorship opportunities.